Domestic and international trips made by fugitive Adil Öksüz, who is seen as the point man of Gülenist Terror Group (FETÖ) leader Fetullah Gülen for the failed coup attempt on July 15 last year, shows intricate detail the planning stages of the putsch. Adil Öksüz, seemingly just a mid-level theological studies academic at Sakarya University, was actually a senior level operative within FETÖ and was given authority by Gülen to oversee the coup attempt. The indictment by the Ankara Prosecutor's Office into activities at Akıncılar Air Base near Ankara, from where the coup attempt was managed, shows how crucial Öksüz's contribution was to the entire plot. Öksüz, identified as the FETÖ imam of the Air Force, was arrested the day after the coup attempt but released by a FETÖ infiltrated court and has been missing ever since. The indictment shows that FETÖ started planning the coup soon after the Nov. 1, 2015 general elections, victored by the ruling Justice and Development Party (AK Party). Having realized that there was no democratic way to topple the government, FETÖ initiated its takeover plans through military means. The indictment shows that Öksüz used his own car to repeatedly travel to Ankara, starting soon after the Nov. 1 elections. His trips to Ankara, where he is known to have met with senior civilian and military members of FETÖ, started on Dec. 27, 2015, and followed in regular intervals with travels in 2016 on Jan. 9, Jan. 16, Jan. 30, Feb. 20, Feb. 29, March 14, May 5, May 27, June 4 and June 15. Each of his trips abroad took place soon after the meetings in Ankara. These trips are of consequence because they were either to countries with considerable FETÖ influence or to the U.S., where Gülen has been living for more than a decade. His trip to Ankara on Dec. 27, 2015, was followed by a trip to the U.K. on Dec. 31, 2015. Öksüz went to the U.S. on March 17, 2016, returning on March 21. Öksüz is known to have traveled to the U.S, Germany and South Africa – all countries where FETÖ has considerable presence – many times before the Nov. 1, 2015 elections, but his trips afterwards, for a lowly religious studies academic, are especially suspicious. Öksüz went to the U.S. on July 11, days before the coup attempt, retuning on July 13. Many suspected FETÖ operatives currently in jail traveled to Germany, Pakistan, the U.S. and U.K. at the same time as Öksüz. All of them have denied accompanying Öksüz during the trip or meeting him at the destination, despite overwhelming evidence to the contrary. Late last month, an indictment showed that the U.S. Consulate in Istanbul made a telephone call to Öksüz on July 21, 2016, at a time when Öksüz was on the run. The U.S. Embassy in Ankara and U.S. Secretary of State Rex Tillerson during his visit to Ankara said such a call was "routine" for those whose visa application was rejected. The U.S. Embassy said they moved to cancel his visa after Turkish security forces notified them about his status as a fugitive from justice. The statement, however, raised new questions as social media users and some journalists questioned why the embassy immediately moved to cancel the visa even before Öksüz was not known to be a key figure behind the coup attempt. Moreover, the U.S. has been dragging its feet on repeated Turkish calls to extradite Gülen, but has publicly declared that it cancelled Öksüz's visa application. Eight months after the coup attempt, Öksüz remains at large, while conspiracy theories flourish in his absence. Several media outlets reported he "took shelter" in a building owned by a foreign diplomatic mission. 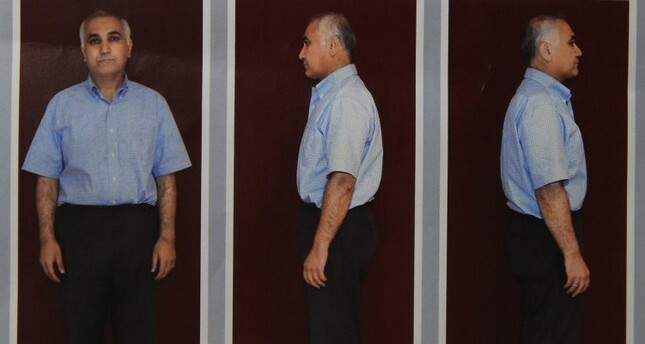 Turkey placed Öksüz in the "red category" of the most wanted terror suspects, offering up to TL 4 million ($1.1 million) for tip-offs to help his capture, but he is believed to have fled abroad as nationwide searches have failed to locate him.